We have a number of seasonal events coming up at the Oastler Centre, Kirkgate Market and Keighley Market Hall. We hope that traders will dress up and participate in any seasonal events and join in the fun to create a festive, inviting and vibrant atmosphere in all the markets. Please share the dates with your family and friends – support for your stalls and markets starts from within and with the right attitude and effort, we shall conquer the ghost towns that afflict our districts! If traders have any ideas or special offers they wish to link up to Halloween, please email your new Markets & Promotions Officer Khansa Tufail on khansa.tufail@bradford.gov.uk with details so we can promote on social media. Monday 24th October – Live Performance of Thriller by ND Dance Academy, Craft Workshops, Facepaint, Character Walkabouts and Ministry of Food Cookery Classes. Tuesday 25th October – Kids Creepy Catwalk, Facepaint & Ministry of Food Cookery Classes. Thursday 27th October – Trick & Treat Trail and Halloween Projections organised by Wur Bradford. Display by The Joke Shop in the market and mall. Saturday 29th October – Facepaint, Spooky Grotto, Character Walkabouts & Ministry of Food Cookery Classes. We will send news of Christmas events and market opening times in the next bulletin in November. Bradford Markets will soon be launching a new slicker website, live since June this year, the site is currently in Phase 2 stages where we have identified ways to make it more user friendly, mobile responsive and optimised for search engines. 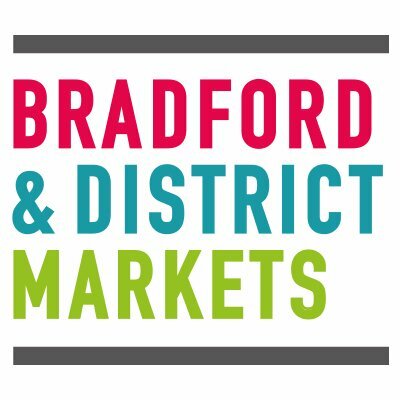 You can view the new website on https://www.bradfordmarkets.com. The new site will allow existing and new traders access to updated vacant stalls, lettings particulars, application forms, news and much more. We have already commenced collating information from traders to populate the site with their details and will be giving the opportunity to all traders to provide us with details to promote their trade on the website. Please email Khansa Tufail with this information. Design students from the University of Bradford will soon work on a numbe r of digital campaigns for markets. Students will collect news and stories from traders, collate images and videos for digital platforms including Youtube, Facebook and Instagram. We hope all traders will welcome the students and share their history and thoughts on market trading! Footfall in indoor markets has fluctuated over the past few months. Below is a overview of weekly figures in the October month so far. From 1st April next year, the small business rates relief will increase for properties with a rateable value of £6,000 to £12,000. This means that if your shop has a rateable value of £12,000 or less and this is your only property then you will have no rates to pay. All businesses and employers have a duty to comply with the Health and Safety at Work Act 1974, details of which can be found on www.hse.gov.uk. We have recycling schemes at all our Markets, we would ask that you try and recycle as much waste as possible, recycling not only allows us to do our bit for the environment but it may also lead to potential costs savings. Bradford Markets have successfully completed audit checks last month and currently holds the following accreditations 9001 for Quality Management & Customer Service, 14001 Enviromental Management and 18001 Health & Safety. We would like to welcome the following new traders to our markets..
Melting Moments at Kirkgate Market, retailing beautiful highly fragranced wax melts. Unit 121 at Oastler Centre will soon be occupied by a new trader offering tailoring and alteration services. Little Tea House at Oastler, retailing loose tea in a variety of flavours with herbal options. Little York Pie and Entertainment UK join the traders at Keighley Market Hall trading delicious hot pies and video electronics. And we would like to say goodbye too..
Little Shop of Soaps, Wicked E-Cigs and Skulep Boutique at Kirkgate Market who will leave in January 2017. Mr Biscuit at the Oastler will be replaced by Little Tea House. M&H Electricals at Keighley Market will be leaving us at the end of December.